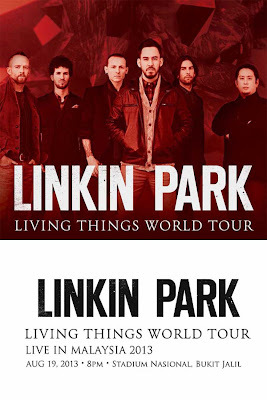 The legendary Linkin Park has performed on 19th August 2013 in Stadium Nasional, Bukit Jalil Kuala Lumpur. The event has attracted the estimated crowd of around 20,000 people from Malaysia itself and around 5000 people from oversea. Approximately 25,000 fans have flooded the stadium for the amazing concert! 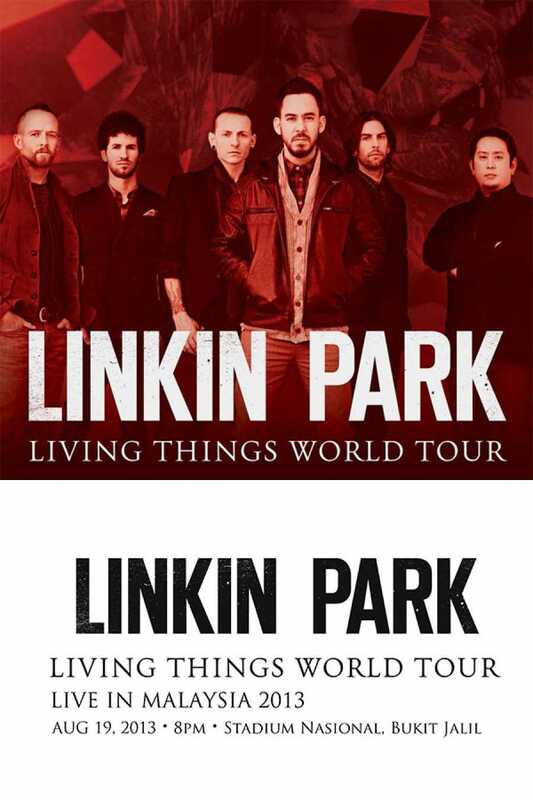 Linkin Park Living Thing World Tour has been a great treat for all of the fans who have been supporting them for years. This is their second time coming to Malaysia with their previous visit happened around a decade ago. Non-stop Music without much Talking! Linkin Park came on stage at around 8.45pm. They didn’t interacted much with the fans and only spoke a few sentences before they started performing non-stop for almost 1 and a half hour. It was a concert with less talk but more music. They have performed approximately 22 songs. Their effort in bringing the best performance on stage can be felt and it was really awesome! Cool CGI Effect With Astonishing Live Performance! The performance was also complimented with cool CGI effect on the screen which has granted the audience not just the musical ecstasy but also the visual amusement! All the fans were totally drown inside the vibes and excitement created by Linkin Park in their superb music performance! After the show, Linkin Park has made the fans even more delighted by tossing away a lot of freebies such as T-shirt, some small music instrument accessories, drinks and etc! Some fans were expecting an encore after that although Linkin Park has mentioned “Bleed it out” as the last song of the show. However, that was really the last song and there was no other additional track after that. It was a bit different from other concert whereby there will usually be a part where the fans will be saying “Encore!” together followed by some back-on-stage surprise by the performers. Linkin Park was different and unique. Despite not having an encore like that, everyone left the concert venue with a smile on their face because the concert was really fun! Credits to The Wonderland+ for the official photographs.